Requesting testimonials from customers can feel like asking for compliments, which can be awkward and uncomfortable. But with the right strategy set in place, it doesn’t have to feel this way to you or your customers. A great way to make this conversation more natural is to meet your customer halfway by offering an incentive in return for a testimonial. Uni Key Health Systems Inc. used this strategy to great effect. Uni Key Health Systems, Inc. sells wellness products supporting the overarching mission to empower others to prevent illness and optimize health. Specifically, they offer weight loss, cleansing and wellness products aimed to help customers live their healthiest lives. Uni Key has an entire page dedicated to customer testimonials of their products. They recognized the importance of social proof and therefore enlisted Boast to help them collect more testimonials. To encourage customers to leave a testimonial, Uni Key offers a 30% off discount on a customer’s next order in exchange for their participation. All the customer has to do is click a link, and they arrive at the Boast testimonial submission page, where they can quickly record and submit their testimonial, then receive their discount. By collecting these testimonials all in one place, Uni Key can later use these to get more reviews on Google, Yelp, Facebook and other pages, if necessary. Did you know that more than 50% of respondents are likely to give a referral if offered a direct incentive, social recognition or access to an exclusive loyalty program? 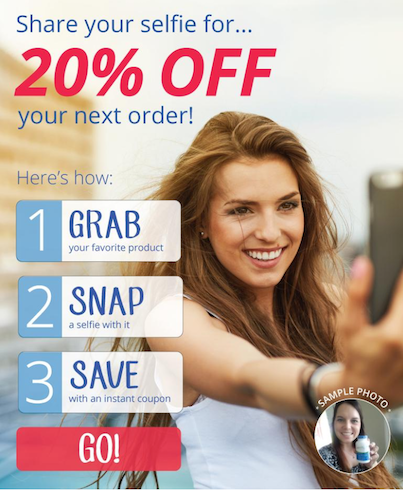 By offering 30% off the next order, Uni Key utilized the power of an incentive to increase testimonial submissions. Uni Key set up a page on their website dedicated to housing glowing testimonials on their array of products. By organizing the testimonials into two columns with a simple scrolling ability, Uni Key makes their video testimonials easily accessible to website visitors. In the top of their testimonial page, Uni Key clearly states the incentive with the hyperlinked CTA to submit a video testimonials. Website users clearly understand what they need to do and where they need to go. By clicking the hyperlinked text, they are redirected to the Boast testimonial submission page. The 20% off discount on the landing page reiterates the discount and makes the directions and incentive clear. Customizing this landing page with the image Uni Key was already using only took a few moments, and created an clean, easy-to-use submission page. Uni Key’s testimonials come across as real and authentic to users. Every person has a different story to share, and accompany their testimonials with a short description and the ability to share them on Facebook or Twitter right from the website. Whether you’re launching your first testimonial campaign or looking to refresh your current testimonial collection strategy, incorporating an incentive is a great way to increase the number of submissions and build positive social proof for your brand.